TCI Logistics provides motorcycle and moped shipping nationwide. Our developed network of specialized motorcycle drivers gives us the ability to arrange the transport of your motorcycle anywhere in the country regardless of the size, weight or condition of your motorcycle. Call us today to discuss your motorcycle transport with one of our specialists or send us a message via the TCIship chat. Most common choice is via enclosed transportation. Via enclosed transport you are assured that your motorcycle will be delivered in the exact same condition as it was picked up, with enclosed transport your motorcycle will not face rough weather conditions and road debris. 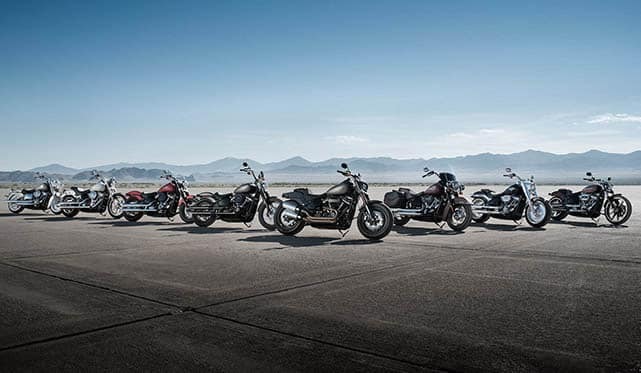 Our enclosed drivers are specialized in motorcycle and transport only, we have complete trust in them knowing how to tie down any motorcycle properly and making sure that your bike is in good hands, keeping you worry free. Enclosed trailers are typically smaller being pulled by pick-up trucks making them very flexible on entering tight or narrow locations. Transporting your motorcycle via open transport has a few benefits. You will save money, open transport is usually a few hundred dollars less expensive than if you were shipping it via enclosed transport. In most cases, the motorcycle is loaded on a car hauler with a designated driver that knows how to load on and secure the shipment properly so that there are no damages done during the transport. 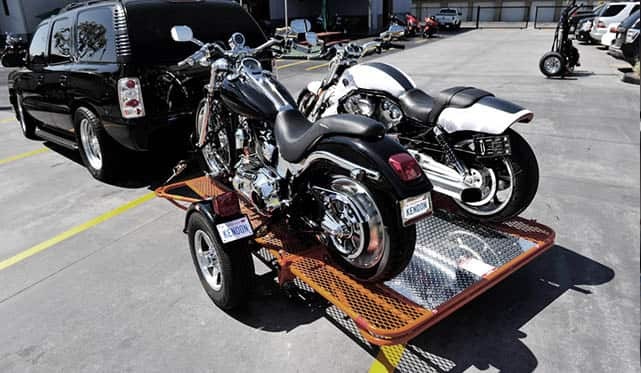 Your motorcycle will also be picked up and delivered quicker compared to shipping it in an enclosed trailer due to the carrier being a car hauler, who has less stops and a more direct route. Your shipment will also be door to door with a full coverage while in transit. with their inventory, we strive on well-built relationships by meeting deadlines alongside with our professionalism. 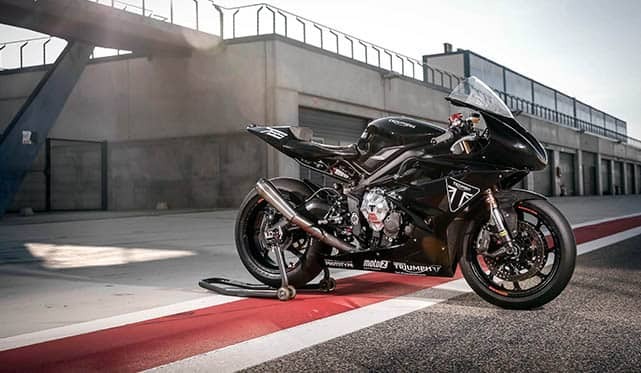 Weather you have just purchased/sold a motorcycle, or you are relocating it, TCI Logistics is here to assist you with your move. TCI Logistics Offers quick and affordable motorcycle transport regardless of the condition of your motorcycle. Auction to Dealer, Relocations, Private sales, Ebay Shipments, Dealer to Residence, Shipping to nationwide ports and many more transports are provided by TCI Logistics. Contact our Motorcycle Shipping Specialists today to discuss or set up your quick, easy and affordable motorcycle transport. Call 312-224-8620 to find out more information about your auto transport. 1. Trucking damage claims are covered by the carrier from up to $250,000 cargo insurance per load, and a minimum a million dollars public liability and property damage. 2. All claims must be noted and signed for at time of delivery. Claims for damages not documented on Bill of Lading will not be honored. TCI strongly suggests that a phone call is made to one of our representatives in case there is noticed damage or loss. 3. All claims, subrogation, litigation or legal action must have right of venue in the State of Illinois, in the municipal court of Lake County. 4. TCI will not be responsible for any exhaust systems, mufflers or tail pipes. No Exception! 5. TCI will not be responsible for any mechanical-function damages including: engine, transmission, motor mounts, clutch, suspension, ect. 6. Damages cause and/or resulting from any type of weather conditions: snow, ice, rain, winds, floods, tornadoes, hurricanes, sand storms and etc. 7. TCI Logistics agrees to provide a carrier to transport your vehicle as promptly as possible in accordance with your instructions but delays during pick-up or delivery may occur sometimes because of occurrence of floods or any other natural disasters. 8. A cancellation fee of the secured deposit will be kept for orders canceled after they have been dispatched due to the customer’s fault. 9. All pick-up and delivery dates are estimated. TCI Logistics asks for at least 1-4 business days for pick up. If customer cancels in the first 4 business days from the first available pick up date, there will be a $150 cancelation fees. 10. If customer avoids any cancellation fees, customer will be sent to Collection Services within a week of the payment date. 11. Carriers assigned by TCI Logistics perform door to door services unless residential area restrictions apply. If that is the case, client will be asked nicely to meet driver at the nearest location allowing the truck to load/unload vehicle safely. 12. Pickups by hourly appointment are available for an additional fee, by smaller unrestricted auto carriers. 14. If TCI Logistics is not advised of inoperable or oversized vehicles prior to pick up, driver at pick up will inquire of extra funds. 15. Vehicles must be passed on to carriers in good running condition with no more than a half tank of fuel. 16. Carrier will not be liable for damage caused by leaking fluids, freezing, exhaust systems, or antennas not tied down. 17. Orders shall be paid in two separate payments. Once a driver is assigned, a deposit will be required to secure a spot on the trailer, the remaining balance will be paid on delivery to the driver (cashier’s check, money order or business check). 18. Full payments via credit card must be processed at the time of booking the driver. There will be an additional 5% credit card fee if paying for the full balance via credit card. 19. Overseas orders must be prepaid by cashier's check or wired money. 20. Shipper warrants that he will pay the price quoted due TCI Logistics, Inc. for delivered vehicles or “cancellation fees” and will not seek to charge back a credit card or stop a check to offset any dispute for damage claims. 21. Department of Transportation regulations require that all claims be filed in writing and all tariffs be paid in full before claims are processed. 23. This supersedes all prior written or oral representation of TCI Logistics and constitutes the entire agreement between shipper and TCI Logistics and may not be changed except in writing signed by an officer of TCI Logistics.